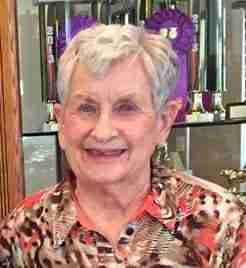 Gerdis C. Haugen, 87, of Garner formerly of Woden, died unexpectedly Thursday, August 24, 2017 at Haroldsplass Hospital in Bergen, Norway while visiting her brother, Donald Haugen and his family. Funeral services will be held 1:30 P.M., Friday, September 15th at St. John’s Lutheran Church in Woden with Rev. S. Kim Peterson officiating. Burial will be at Grant Township Cemetery north of Woden. Visitation will be held from 5 to 7 P.M., Thursday, at the Cataldo Funeral Chapel in Woden and will resume one hour prior to services at the church. Catalod Funeral Home in Garner is in charge of arrangements.